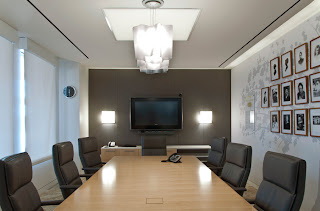 Finally, I have some photos of my latest commercial project to share with you! 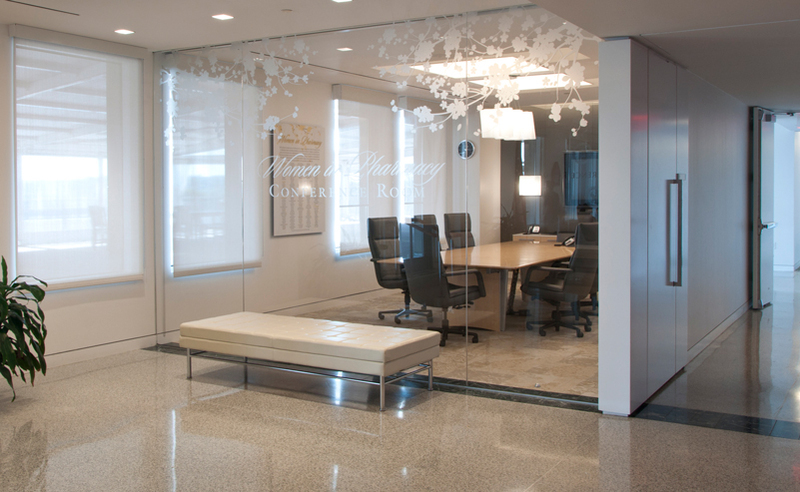 I had the pleasure to work with the American Pharmacists Association in Washington DC on the Women in Pharmacy Conference Room. 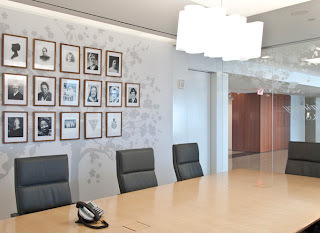 It is a special place at the APhA's beautiful headquarters in downtown DC dedicated to the women who significantly contributed to the profession of pharmacy in the USA. 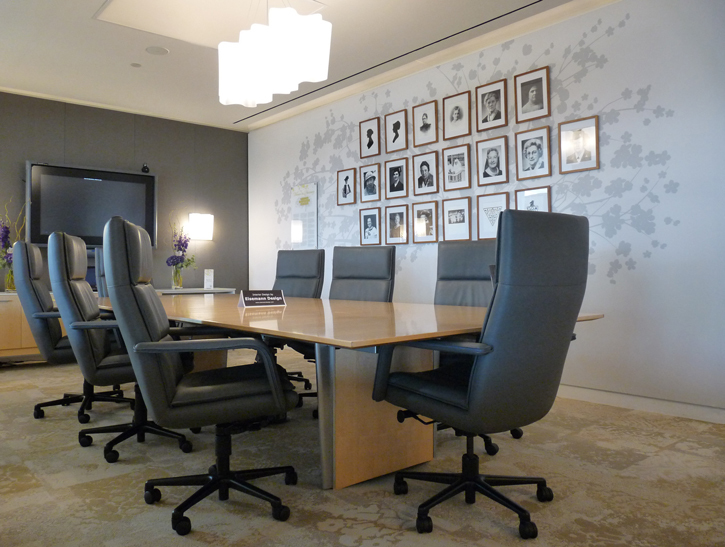 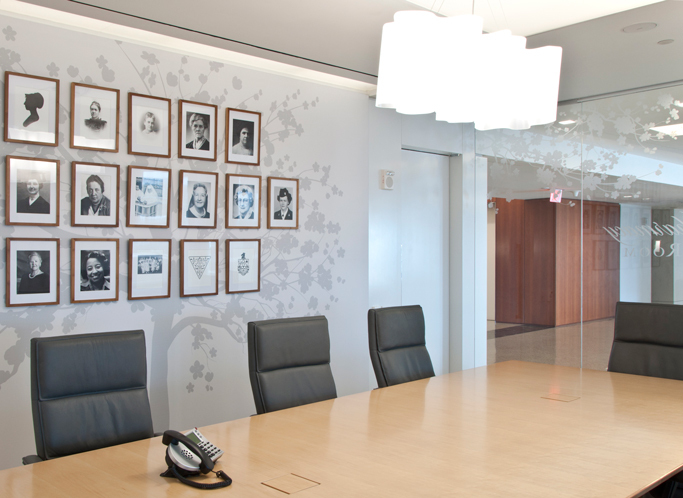 Floral motive on the glass partition and the family tree is inspired by the cherry blossoms native to the Washington mall located just outside of the APhA headquarters by the Lincoln Memorial. I tried to be sensitive to the contemporary design of the building and its green principles - I selected materials that are environmentally friendly and mostly made in America.